Taken in Michigan's Eastern Upper Peninsula. Paul, a cute and heartwarming shot of the chick following in mom’s wake. Excellent detail, and I love the out-of-focus surroundings which create a “dreamy” feeling. Well done! ,Lovely shot. LIke the calm mood. This is a lovely serene scene. it's a cute family shot, nice looking image. So lovely in the calm waters-sweet to see the little one following behind. 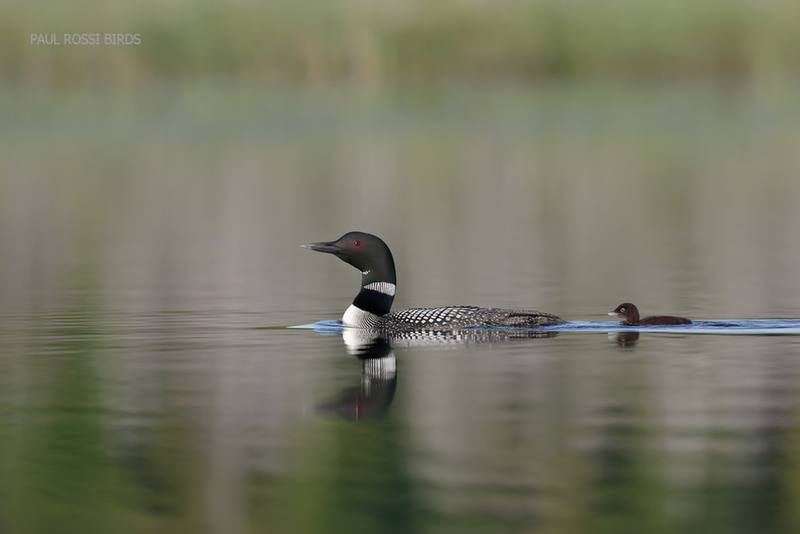 Love seeing loons- so ancient and elegant. A beauty. Lovely shot and I like the green color reflection , it really add nicely to the image. Great job Paul! A lovely view of parent and mini-me chick in dreamy setting, Paul. Beautiful image.